YoGems, a pioneer in creating world-class sporting experiences for Youth, is now creating history by organizing 1st ever paperless digital badminton tournament at Thyagaraj Stadium Delhi from Dec 28 to Dec 30. 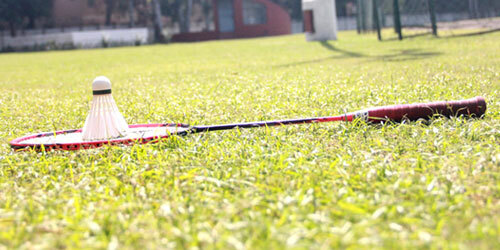 It is expected to host 500+ players from Delhi-NCR and more than 100 Schools from Delhi-NCR. This tournament is open for Boys and Girls both for Under 11, Under 13, Under 15 and Under 17. You would be pleased to know that this tournament also brings many other firsts to any tournament in Delhi. For example, in addition to electronic scheduling of all the matches, coaches, parents and participants will be able to follow score of each match live on their mobile phones/computers. This tournament will be played at Thyagaraj Stadium Delhi. You all are invited to the tournament.